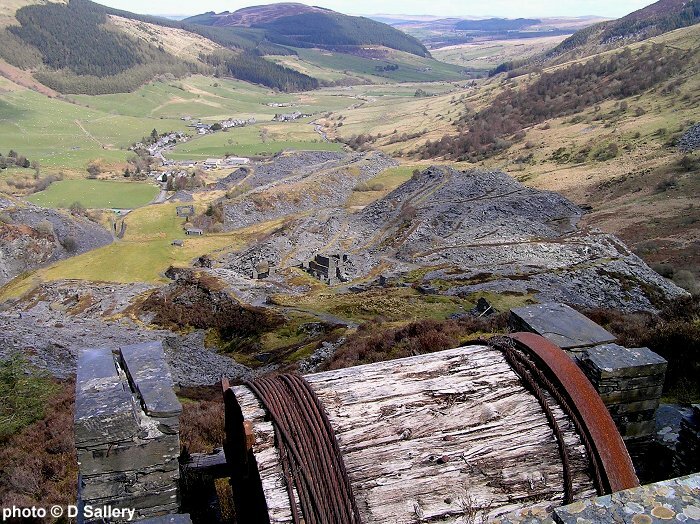 Dinorwic Quarry, aerial ropeway tower and galleries. Hebrew with thanks to UK Customer Services. Moel y Faen quarry at the top of the Horseshoe Pass in Denbighshire. The tips at this quarry are currently being recycled as aggregate. 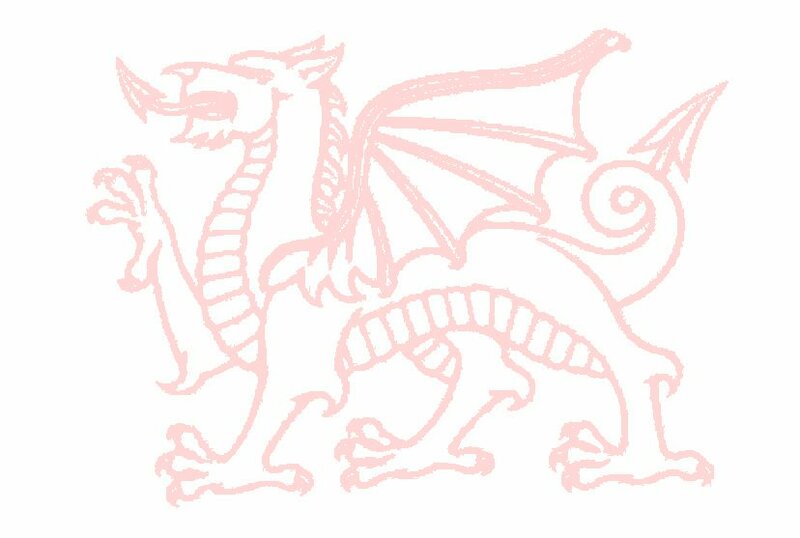 This site is intended to be a general introduction to the slate industry of North and Mid Wales. I have tried to give an overall impression of the industry and the changes it brought about. It is not intended to cover each and every quarry, of which there were several hundred. 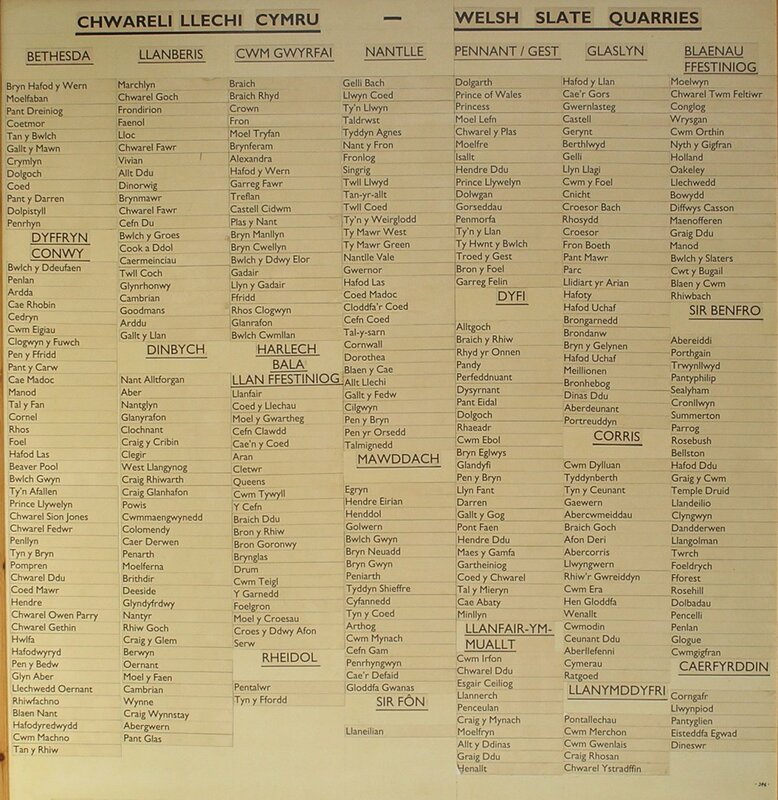 Click here for a list of all recorded Welsh slate quarries. Bear in mind that many of the workings listed were either tiny or mere speculative scratchings. I have also not attempted to go into great detail about extraction methods, labour, geology, preserved railways etc. 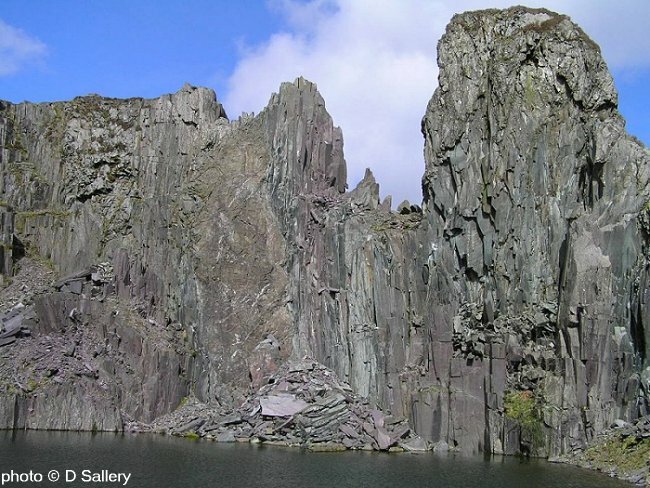 Slate quarries can be dangerous places: the rock can be slippery, waste tips are unstable. the walls of buildings are often on the point of collapse, the weather can change rapidly, there may be hidden shafts or pits and the nearest assistance, in the event of accident, may be some miles away. I have made no reference to underground workings which may be accessible as all of them are dangerous. Any exploration underground should only be done with a competent guide and using professional equipment. 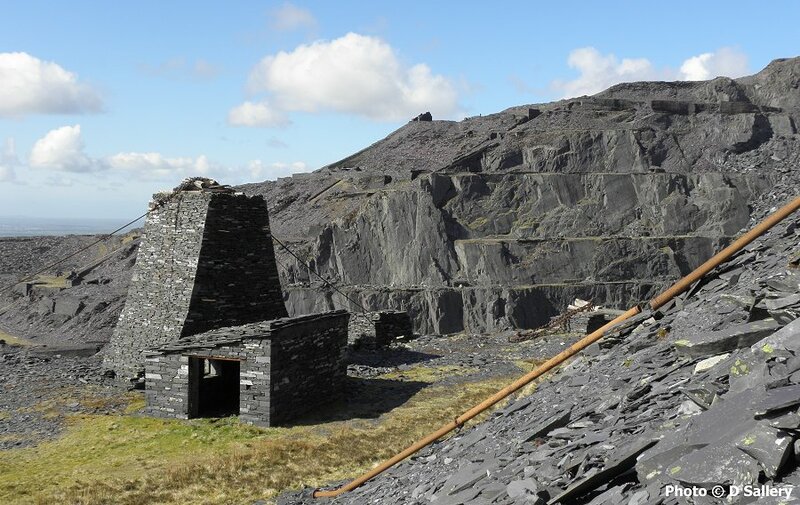 All slate quarries are private property and permission should be sought before entering the site. There are still many relics and artifacts left to see, often in wild and beautiful surroundings, but please do not remove any without permission. I hope that this site will help to introduce more people to the techniques employed in what was once a great and proud industry and help them to appreciate what remains today. All the contemporary photographs were taken by myself in the last twenty years but such is the pace of change that many of the views are no longer possible. Please help me to continue to improve this website with your comments or suggestions. The information (not photographs) held within this website may be reproduced without permission if the website is credited with providing the information. All of the photographs on this website remain the property of the owners and must NOT be reproduced without prior permission. An incline drum house, the fan of the tips and the village beyond. Cwm Penmachno, Gwynedd.